China launched its Micius satellite in 2016, and in the time since, it has accomplished a couple of remarkable feats proving the viability of quantum technology. 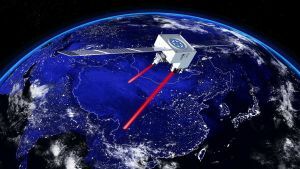 The first of its achievements saw the Micius team in China sending a single photon from a ground station in Tibet to the satellite 500 kilometers (310 miles) away. In August 2017, the satellite used quantum cryptography to send data to Earth, which hinted at the potential of sending information that’s virtually unhackable. A month later, on September 29, Micius was used to facilitate the first ever quantum video call between the Chinese Academy of Sciences in Beijing and the Austrian Academy of Sciences in Vienna — 7,600 kilometers (4,722 miles) apart. Previously, we knew that the 75 minute call used Micius to send data, contained in photons, to two stations operated by China and Europe. Now, however, we know the specifics regarding how everything came together. For starters, the photons were used to transmit a quantum key both academies needed to participate in the quantum video call. Using Micius, a series of photons that move in unpredictable patterns were first sent to the Chinese ground station at Xinglong. Once the Earth rotated and brought the Austrian ground station at Lustbühel Observatory near Graz into view, Micius sent another series of photons. “Thus, the transmitter in orbit and the receiver on the surface of the earth received a randomly generated unique number sequence of zeros and ones – the quantum key,” explains the Austrian Academy of Sciences in a post detailing the experiment. If a third party had somehow managed to observe the quantum key during transmission, it would have been immediately noticeable. In this situation, the key isn’t utilized, and another is sent until both teams are confident their respective keys haven’t been observed. 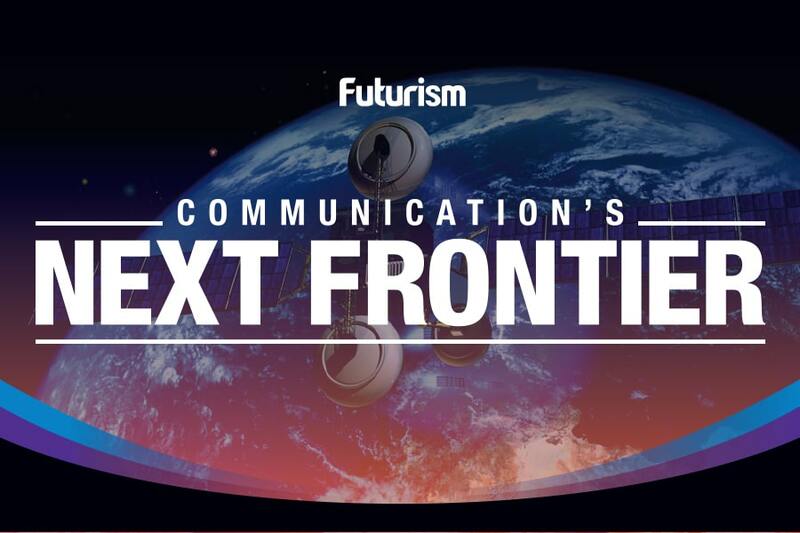 Once the ground stations acquired the two keys, they were sent to their respective academies using ground-based quantum communications over optical fiber cables. According to MIT Technology Review, the final step was setting up a secure video link using the Advanced Encryption Standard (AES). In addition to the call being 75 minutes long, it also resulted in 2 GBs worth of data transmission. “The experiment has shown that quantum communication is absolutely secure against eavesdropping and also works on a global scale,” said quantum physicist Anton Zeilinger, who led the Austrian team, in the blog post. The video call isn’t meant to be the final test for quantum communications, or a sign that it’s perfect. As MIT Technology Review points out, the satellite is only thought to be secure while its connecting to ground-stations back on Earth, but that security is not a guarantee. That said, the teams are aware of this potential flaw, and state it can be addressed using an end-to-end quantum relay. Faster quantum encryption is also expected to become invaluable in the future of cybersecurity. Given that it has only been a year since the Micius satellite was launched, the call is still an impressive feat. The teams acknowledge this is only the beginning for practical quantum communications. “Our work points towards an efficient solution for an ultralong-distance global quantum network, laying the groundwork for a future quantum internet,” the teams said in their research, published to the journal Physical Review Letters.